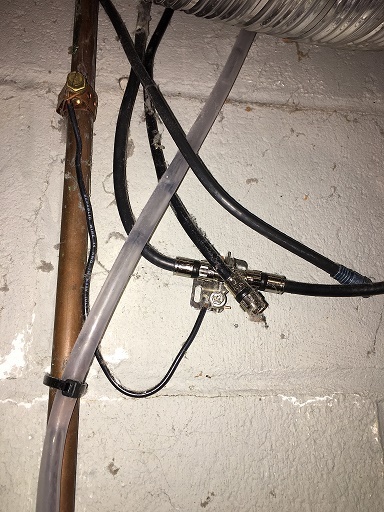 I'm working on renovating my basement, but first am replacing all of my existing copper pipes with modern CPVC to eliminate the constant leak headache since we are on a well. Last night I found this wire grounding that appears to be for my cable. Would someone be able to answer a few questions for me? Is this technically out of code? Should this be done external to my home? 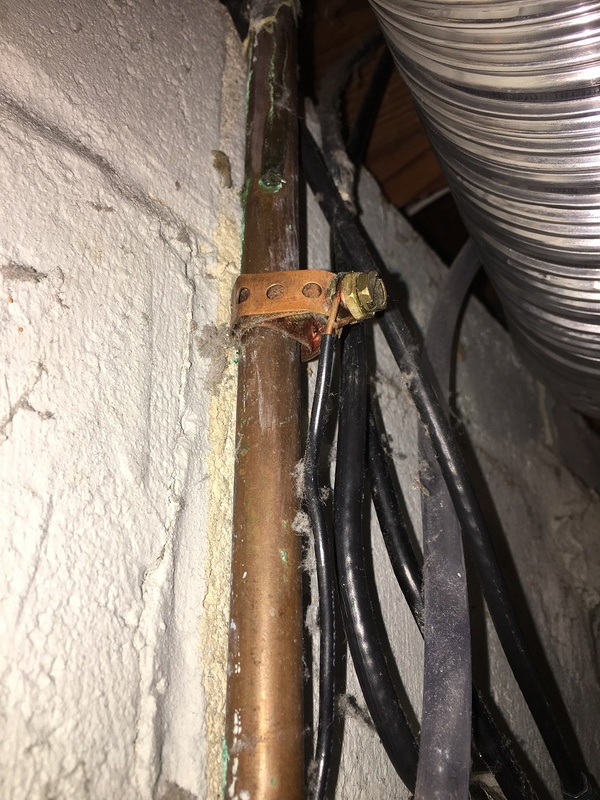 Since I am removing my copper water lines, what is the alternate replacement for this grounding wire? One option would be to see if you could move that connection to a location where you have grounding available easily. That is just a COAX cable, for TV service or internet, via satellite or cable. It can be mounted anywhere along the line run, but preferably as close to the beginning of the run, or at least prior to any device connections. The installer found a copper pipe and just grounded there. As for the comment of leave this as is, if you disconnect the pipes before and after, then it is no longer a ground connection. Not the answer you're looking for? Browse other questions tagged electrical plumbing grounding usa or ask your own question.